What I particularly admire in the Dreyer films that I've been able to see or see again over the past few years is their ferocity in respect to the bourgeois world: its notion of justice (THE PRESIDENT, which is one of the most astonishing narrative constructions I've known, and one of the most Griffith-like of films, hence one of the most beautiful), its vanity (the feelings and decors of MICHAEL), its intolerance (DAY OF WRATH, stupefying through its violence, and through its dialectic), its angelic hypocrisy ("She's dead....she's no longer here...she's in heaven," says the father in ORDET, and the son replies: "Yes, but I loved her body, too..."), and its puritanism (GERTRUD, so well-received for that by the Parisians on the Champs-Elysees). "If one is striving to create a realistic space, the same thing must be done with sound. While I am writing these lines, I can hear church bells ring in the distance; now I perceive the buzzing of the elevator; the distant, very-far away clang of a streetcar, the clock of city hall, a door slamming. All these sounds would exist, too, if the walls of my room, instead of seeing a man working, were witnessing a moving, dramatic scene as background to which these sounds might even take on symbolic value -- is it right then to leave them out? ... In the real sound film, the real diction, corresponding to the unpainted face in an actually lived-in room, means common everyday speech as it is spoken by ordinary people." "To show that there is a world outside the dullness and boredom of naturalism, the world of the imagination. Of course, this conversion must take place without the director and his collaborators losing their grasp of the world of reality. His remodeled reality must always remain something that the public can recognize and believe in. It is important that the first steps towards abstraction be taken with tact and discretion. One should not shock people, but guide them gently onto new paths. "Each subject implies a certain voice (route). * And that must be heeded. It is necessary to find the possibility for expressing as many voices (routes) as one can, It is very dangerous to limit oneself to a certain form, a certain style.... That is something I really tried to do: to find a style that has value for only a single film, for this milieu, this action, this character, this subject. "In the cinema, you cannot play the roll of a Jew, you have to be one." 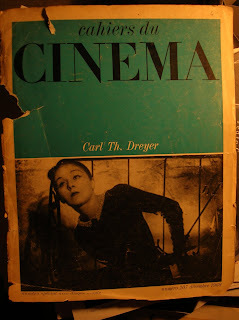 The fact that Dreyer was never able to produce a film in color (he had thought about it for more than twenty years) nor his film on Christ (a profound revolt against the state and the origins of anti-Semitism) reminds us that we live in a society that is not worth a frog's fart. *Straub's quotations from Dreyer are drawn from four sources: "The Real Talking Film" 1933, "Imagination and Color" (1955) a 1965 interview with Michel Delahaye and an unknown text, respectively. The versions of the first two here are adapted from Donald Skoller's Dreyer in Double Reflection (New York, Dutton, 1973); the third is adapted from the English translation fo the Delahay interview in Andrew Sarris's Interviews with Film Directors (New York, Avon, 1967). In the original French version (in Cahiers du cinema No. 170, Septembre 1965), it isn't clear whether Dreyer is saying "voix" (voice), or "voie" (route). (trans). 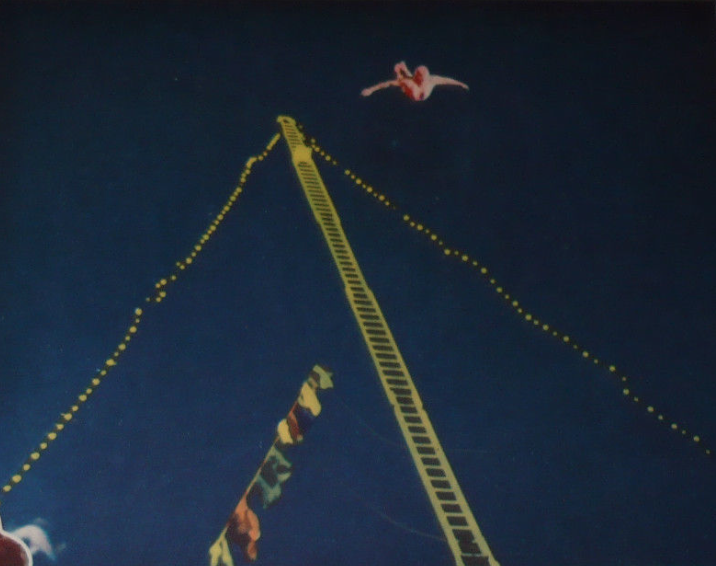 -from the FILM AT THE PUBLIC program, "The Cinema of Jean-Marie Straub and Danièle Huillet", November 2-14 1982. Translation by Jonathan Rosenbaum. This is brilliant; thanks so much. This is amazing, thanks for the post Andy.